Scooper - Technology News: Q&A: Can palm oil ever be sustainable? What is Unilever's biggest challenges to meeting its no deforestation commitments? 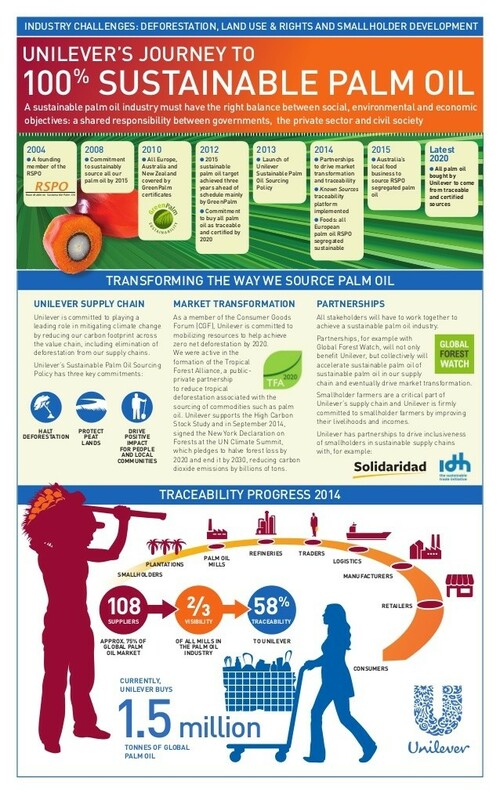 Wilmar International Ltd, the world's largest palm oil trader, has unveiled an online platform that provides transparency and "traceability" in its supply chain, listing the names and locations of refineries and palm oil mills. We talk to Jeremy Goon, the company’s chief sustainability officer. Wilmar is a signatory and founding member of the Indonesian Palm Oil Pledge (IPOP), together with five other palm oil majors. IPOP seeks to create an environment which enables and promotes the production of sustainable palm oil that is deforestation free, expands social benefits, and improves palm oil's market competitiveness. The Tropical Forest Alliance 2020 is a partnership that brings together governments, businesses and civil society organizations to remove deforestation from the production of beef, soy, palm oil and paper. It's currently convening its first General Assembly in Jakarta, Indonesia .